You’re reading novel Dragon-Marked War God Chapter 502 online at LightNovelFree.com. Please use the follow button to get notification about the latest chapter next time when you visit LightNovelFree.com. Use F11 button to read novel in full-screen(PC only). Drop by anytime you want to read free – fast – latest novel. It’s great if you could leave a comment, share your opinion about the new chapters, new novel with others on the internet. We’ll do our best to bring you the finest, latest novel everyday. Enjoy! With a gloomy expression, Big Yellow followed Jiang Chen. He felt dizzy by the fact that Patriarch Greenlotus who had appeared out of nowhere could be related to this shameless monk. However, he had known Jiang Chen for a long time. He knew that this guy was extremely mystical, a man who knew a lot of things. So, Big Yellow was already used to it. The Chaotic Ocean covered a vast area that stretched out as far as the eyes could see. After the monk left, he basically vanished into thin air. It would be extremely difficult to find out where he was right now. However, Jiang Chen had never failed to find a person he was looking for. With the help of the Great Soul Derivation skill, there were no one could escape from his senses. Twenty thousand miles away from the Heavenhawk Island there was an area filled with islands of all sizes. As this location was far away from the center of the Chaotic Ocean, the natural Yuan energy here had become much thinner. The islands were all in bad shapes, and no one seemed to be living in this place, and people would rarely come here. It was basically an area with no human activities. A man and a dog could be seen floating outside of these islands. At this place, although the monk had hidden himself perfectly, Jiang Chen could still sense his whereabouts clearly. Big Yellow rolled his eyes and said. By hiding and waiting for such a long time in the Chaotic Ocean, the monk had shown how much he cared about the sarira. If Jiang Chen jumped out in front of him now and said he was here to help, that monk would never believe what Jiang Chen said unless he was an idiot. Also, a young man who wasn’t even a Combat King, and a big yellow dog who was just a First Grade Demon King, what kind of help could they even provide? After that, Jiang Chen and Big Yellow hid their auras and simply picked a desolate island to stay. If it was any ordinary people, it would be really difficult to hide here without being discovered by the monk, with his alertness. However, as Jiang Chen and Big Yellow were experts at hiding themselves, they could easily keep the monk in complete dark without him realizing that the two of them were nearby. Right after Jiang Chen and Big Yellow hid on one of the islands, a golden figure arrived above a desolate island located in the center of this area. This figure was none other than the monk. Wearing an alert expression, the monk swept the surrounding area with his eyes and divine sense, inspecting all the islands located in this area. After finding nothing suspicious, he found a place to hide. Within the center of the desolate island, the monk was sitting cross-legged within a quiet valley. A sarira was hovering above his head, emitting golden lights. Its surface was fully carved with Sanskrit. Suddenly, the monk issued a loud shout. A golden Buddhist Aura shot out from his head and covered the entire sarira. After that, as if the sarira had sensed a calling force, it entered the monk’s body. Buzzing sounds could be heard from the monk’s body as he started violently trembling. The energy contained within the sarira was too powerful, and even the monk who was purposely trying to hide his aura was unable to do so. The faint golden halo and the pure Buddhist Aura, even Jiang Chen who was staying far away was able to sense it. The monk was too impatient to absorb the sarira, and he would definitely attract the mighty warriors of the four major powers. Perhaps this monk thought he would be able to finish the absorption before those warriors could find him. However, he had really underestimated this sarira. With his current Third Grade Combat King cultivation, he could only absorb one tenth of the energy contained within, and he would have to absorb the remaining energy in the future. Although it was only one tenth of the energy, it was not something that was easy to digest, and it required much more time than the monk had expected. With a flip of his palm, two First Grade Demon King demon souls appeared in his hand. Currently, he only needed another 600 Dragon Marks to break through to the First Grade Combat King realm. However, the closer he got, the more difficult it would be for him to form new Dragon Marks. If he had one Second Grade Demon King demon soul now, he would certainly break through to the Combat King realm. However, with two First Grade Demon King demon souls, he was a bit uncertain. However, Jiang Chen never did something he was uncertain about. As he had robbed a few Pirate Lords, he had found many natural resources amongst his loot, which he could use at this moment. Not only this, he had also found two First Grade Demon King demon souls from what he had received from the Second Grade Combat King. Together with the original two Jiang Chen had, he now had four First Grade Demon King demon souls, and that combined with so many natural resources, he would have no problems breaking through to the Combat King realm. After that, Jiang Chen sat down with his legs crossed. In a very short amount of time, he entered a state of cultivating, then swallowed all four demon souls in one. He began circulating the Dragon Transformation skill; absorbing them. Big Yellow was extremely gloomy. In his mind, breaking through to the Combat King realm was not easy. At least, it was much more difficult than absorbing a sarira. However, he had no idea how frightening Jiang Chen truly was. Jiang Chen was only re-cultivating the path he had already mapped out in his previous life, so there were no bottlenecks for him whatsoever. As long as the Dragon Marks and energy in his body reached the required level, he would be able to break through straightaway. This also applied to when he was breaking through to the Combat King realm; there were no obstacles. An hour later, Jiang Chen suddenly opened his eyes. An extremely powerful aura was emitted from his body, and cracking sounds could be heard from around his body. It was the sound produced by spatial energy. Big Yellow had fortunately covered this place with a formation, preventing Jiang Chen’s aura from leaking out to the outside world. If not, Jiang Chen’s aura would definitely have alerted the monk. Big Yellow fell down to the ground. He felt as if the entire world had been turned upside down. Jiang Chen’s very existence in this world was a heavy blow to all normal beings. There was a huge bottleneck when breaking through to the Combat King realm, as one was required to comprehend the Spatial Laws. No matter how talented a person was, he would require at least a few days to comprehend the Spatial Laws and break through. However, it had only taken this guy one hour to do it. This really p.i.s.sed him off. Jiang Chen didn’t say anything. He was carefully feeling the energy within his body. His Qi Sea had transformed into a large s.p.a.ce, and he was capable of storing many objects in there. Within his Qi Sea, a tiny golden dragon was happily flying around. It was Jiang Chen’s combat soul. It was surrounded by countless blood-red Dragon Marks. There were 20,100 Dragon Marks. That’s right, not only had Jiang Chen successfully broken through to the Combat King realm, he had even formed 100 additional Dragon Marks. Not only that, he now knew the requirements for breaking through to the realms above that. Ninth Grade Combat King, Combat Emperor, Minor Saint, Great Saint; it had all become clear and precise to him. The road to 100,000 Dragon Marks was opened up completely for Jiang Chen; he could see his future path bright and clear. No doubt, a clear and precise structure was very important for Jiang Chen. By knowing the amount of Dragon Marks needed for each future stage and realm, Jiang Chen could prepare properly. Also, after Jiang Chen broke through to the Combat King realm, he could feel a Heavenly Tribulation attracted as well, just like when he broke through to the Combat Soul realm. But this time, it would be much stronger than the previous one. If Jiang Chen’s estimation was correct, it should be an Intermediate Six Tribulation. However, there were good news as well. Different from the previous Heavenly Tribulation, Jiang Chen could control the timing of when this Heavenly Tribulation came. It could come whenever Jiang Chen wished for it to come, as long as he didn’t break through to the Second Grade Combat King realm. For Jiang Chen, this was no doubt a tremendous hidden weapon; a card hidden up his sleeve that could save his life. He had yet to forget how powerful the first Heavenly Tribulation he went through was, as it had instantly killed the guardian of the Demon King Palace. This time, it would be even more devastating, and perhaps it would be more than enough to kill many Combat Kings who had a higher cultivation than himself. A smile emerged on Jiang Chen’s face. There was no way he would call the Heavenly Tribulation now, as it would be a huge waste. He would rather wait for when he encountered some powerful enemies. At that point of time, calling the Heavenly Tribulation would be a really joyful moment. Big Yellow curiously asked. Before Jiang Chen broke through to the Combat King realm, he was able to kill Second Grade Combat Kings. Now that he had broken through to the Combat King realm, could he be able to kill Third Grade Combat Kings? Jiang Chen’s eyes lit up, and his face was filled with confidence. You're reading novel Dragon-Marked War God Chapter 502 online at LightNovelFree.com. You can use the follow function to bookmark your favorite novel ( Only for registered users ). If you find any errors ( broken links, can't load photos, etc.. ), Please let us know so we can fix it as soon as possible. And when you start a conversation or debate about a certain topic with other people, please do not offend them just because you don't like their opinions. You're reading Dragon-Marked War God Chapter 502. This novel has been translated by Updating. 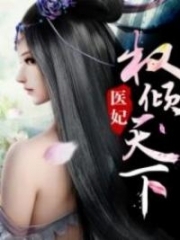 Author: Su Yue Xi already has 15116 views. Current Time is Apr-26-2019 16:16:59 PM.